The Lucellino lamp was designed by Ingo Maurer himself in 1992. 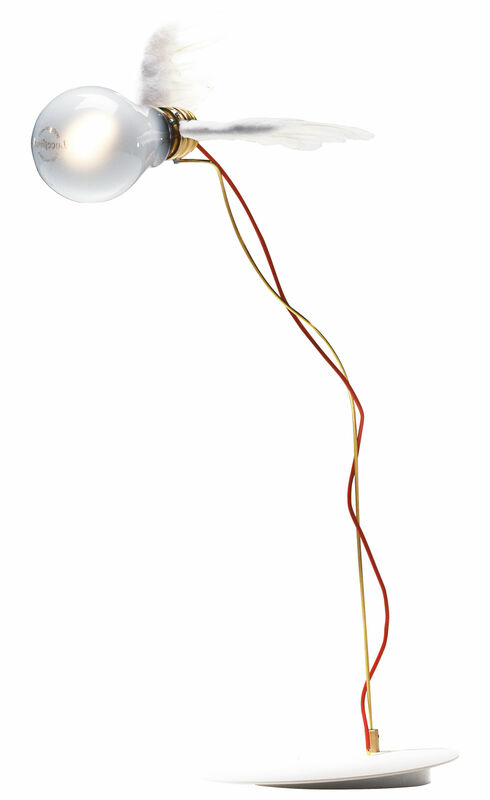 As a tribute to the "light bulb", that Ingo Maurer considers as the perfect link between technique and poetry, all the lights of the Birds collection are now real must-have pieces. 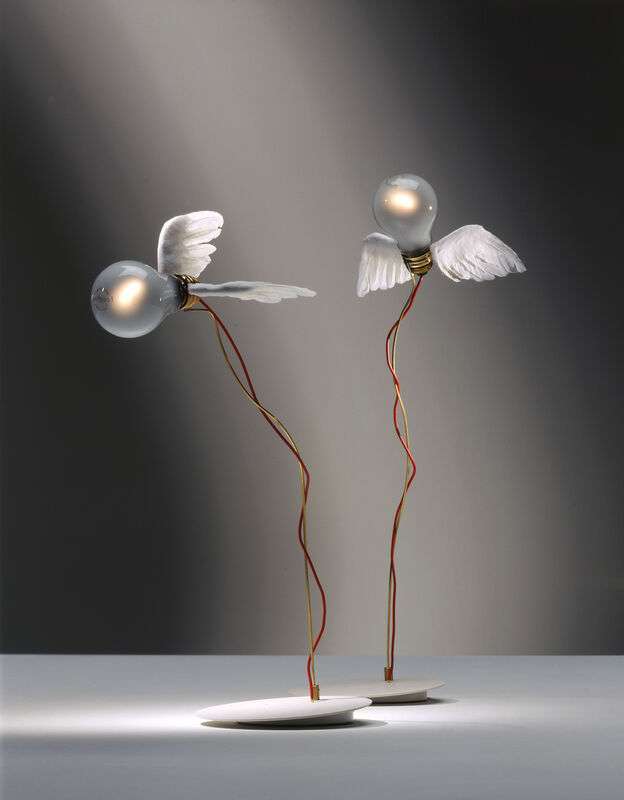 The name of the Lucecillino lamp comes from two Italian words, luce (light) and ucellino (birdie) With a low voltage halogen bulb, and handmade goose-feathers wings it becomes an extraordinary design lamp. The metal wires can be twisted, bent and shaped whichever way you like.The Lucellino lamp is available with or without a dimmer.The Birds collection includes various suspension lights, ceiling lights, table lamps, wall lamps, and bulbs.